How to Measure Men's Japanese Jacket Size? 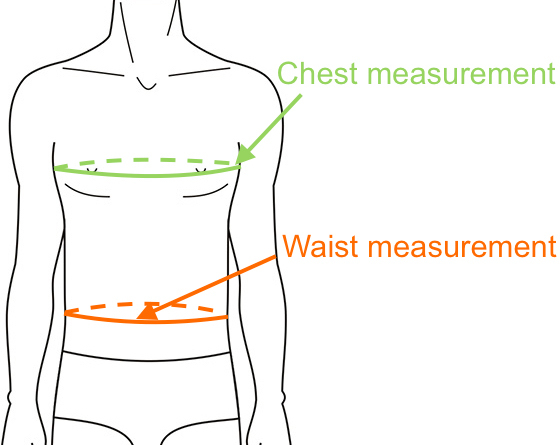 Waist: Measure circumference around your natural waistline. Your waistline is situated where the torso is narrowest/slimmest. Use your measurements from above (in cm) to determine your jacket/coat size from our Jacket Size Chart below. Do you prefer inches? See next size chart. Tips, Tricks or Questions about Men's Japanese Jacket & Coat Size? Tips, tricks or questions about men's Japanese jacket sizing? Please post below. Thanks!